Luxury hotel company Jumeirah Group is adding a 20th hotel to its international portfolio and has revealed significantly increased occupancy levels accross its properties in Dubai. 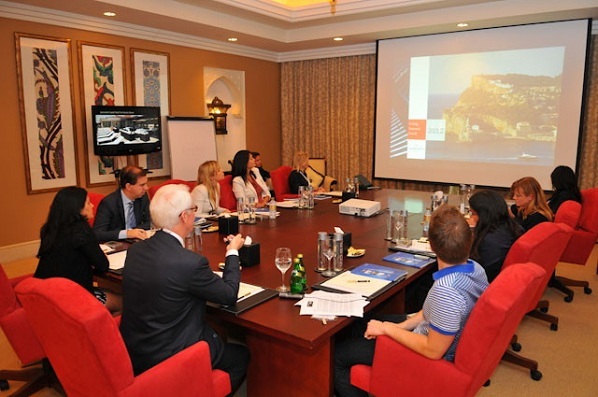 The news was announced by Gerald Lawless, executive chairman of the award winning hotel group during the Arabian Hotel Investment Conference (AHIC) in Dubai. During the first four months of 2012, the beachfront resorts recorded extended periods of high occupancy averaging at 84.4%, while RevPAR, the industry standard for measuring the rooms’ revenue in relation to rooms available, has grown by 18.7%. Jumeirah’s city hotels have also regained their leading position with increased average occupancy of 85.5% and RevPAR growth of 8.4%. Speaking from AHIC in Dubai, Lawless said: “I am very pleased to see that the recovery in the Dubai leisure market that we experienced in the second half of 2011 has been sustained and further developed in the first quarter of 2012. “We registered an impressive performance in our Dubai beach hotels where we have grown the RevPAR by 18% and have maintained our number one position within our competitive set. We have now expanded our international portfolio from 10 properties in the beginning of 2011 to 20 hotels and residences today. In the USA Jumeirah Essex House continued to benefit from the revival of the corporate travel market and recorded occupancy increase of 4.6% and RevPAR increase of 6.3% year-on-year. In London, Jumeirah Carlton Tower and Jumeirah Lowndes Hotel enjoyed robust performance expect this to continue with the Queen’s Diamond Jubilee and the Olympics. The opening of Grosvenor House Apartments by Jumeirah Living in Park Lane in March ensure travellers continue to get a range of choice. Jumeirah Frankfurt, the Group’s first hotel in continental Europe, has already established itself among the market leaders in terms of occupancy and RevPAR. The Group expects that the German leisure market will also be strong into its newest Spanish resort, Jumeirah Port Soller Hotel & Spa, which opened on 24 April in Mallorca. Jumeirah Grand Hotel Via Veneto in Rome as well as the Pera Palace Hotel, Jumeirah’s historical landmark in Istanbul, are also attracting an increasing number of affluent travellers seeking the finest in service and facilities. Jumeirah’s newest hotels in other global destinations – Abu Dhabi, the Maldives and Shanghai – have already gained a reputation as leading luxury properties which was reconfirmed by a number of prestigious international awards. Most recently the group has been nominated in the categories of Asia’s Leading Luxury Hotel Brand 2012, Middle East’s Leading Hotel Brand 2012 and Dubai’s Leading Golf Resort 2012 by the lWorld Travel Awards. The Middle East leg of the awards is taking place on Monday April 30 at Jebel Ali. Jumeirah has delivered on its promise to double its operating hotel portfolio since January 2011. At the moment the Group operates 20 luxury hotels and residences across 10 global destinations. Jumeirah continues its dynamic international expansion, with a pipeline of 16 hotels under development. The next openings are scheduled to be in Baku, Dubai and Kuwait.